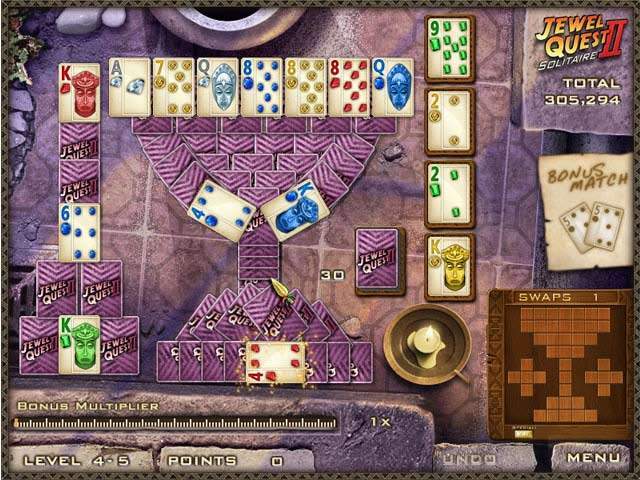 Jewel Quest Solitaire II download. Free download Jewel Quest Solitaire II game. Jewel Quest Solitaire 2 is a brand new card-matching, jewel-swapping, mystery-solving adventure. Emma travels into the depths of Africa to find her missing husband, Jewel Quest`s hero, Rupert. 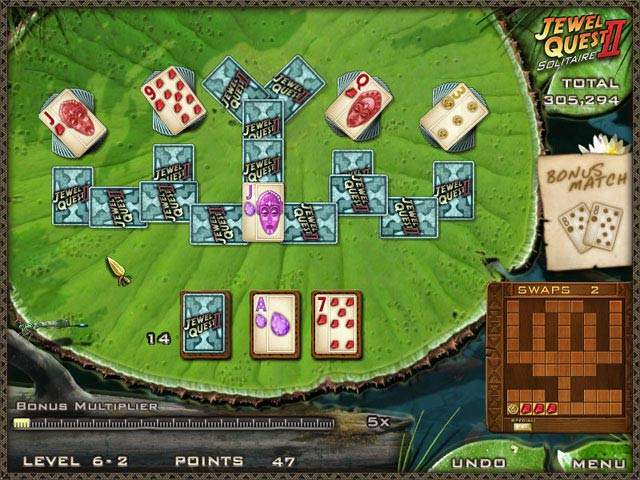 Play impressive layouts of solitaire against rich, vibrant backgrounds. Play your cards wisely and earns jewels in the board to increase your score in jewel matching madness! Enjoy solitaire with a challenging twist! More than 100 all new layouts. New coins, jewels and special moves. We have no player reviews for Jewel Quest Solitaire II yet.